Isn't it terrible when one part of a body sends the wrong message to other parts of the same body? This happens with diseases and physical ailments. The results can be disastrous. 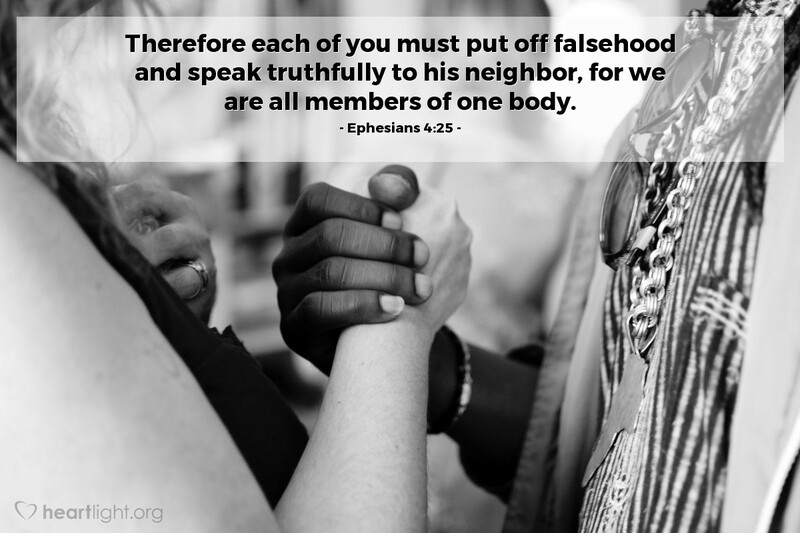 Paul reminds us that dishonesty in the Body of Christ is just as damaging. Our words must not only be kind, but they must be truthful and beneficial as well. Guard my heart from duplicity and my lips from what is false, O LORD. May my words be true to your character and your grace, without deceit or guile. Teach me, dear Father, to speak in ways that bring your blessing, truth, and peace to those who hear my words. In Jesus' name I pray. Amen.